The Honda story is the story of one man, Soichiro Honda, and his unparalleled achievement of bringing motor cycles to the masses. Soichiro Honda was a racer, a businessman, and a manufacturer. But most of all he was a dreamer. He dreamed of a better way of making piston rings, founded a small company, and began production. He dreamed of giving people everywhere an economical form of transportation, and began producing small motorcycles, including one built in 1949 called the D-Type Dream. He also loved racing too. So his company built bigger and faster machines, two, four, five and six-cylinder race bikes and won the Isle of Man. Honda Motor Company is by far the world's biggest motorcycle maker. Honda's first motorcycle was born out of necessity in immediate post World War II Japan, where public transportation was desperately overcrowded and gasoline severely restricted. Looking for a solution to his, and thousands of others', personal transport problems, Honda came across a job lot of 500 war surplus two-stroke motors designed to power electric generators; nobody else wanted them so Honda picked them up cheap. His aim was to adapt them for attachment to push-bikes and, by October 1946, his small factory in Hamamatsu was making complete, makeshift motor bikes using proprietary cycle frames. Because gasoline was in short supply, Honda adapted his motors to run on turpentine, a fuel that he himself distilled from pine trees and sold throughout Japan. Turpentine (or gas thinned out with turpentine) was not the best thing for powering motorbikes, and required a lot of strenuous pedaling to warm the engine up enough before you could get going. In November 1947, the 1/2 horsepower A-Type Honda was being manufactured and sold as a complete motorbike. Because the motorbike gave off a lot of smoke and a stench of turpentine it was known as the "Chimney". Soichiro Honda started Honda Motor Company in 1948, at the age of 41. Soon after he hooked up with financial whiz Takeo Fujisawa and together they built an empire. 1948 saw Honda introduce a 90cc version of the A-Type known as the "B-Type". By 1949 Honda came out with the "D-Type". Mr. Honda was involved in every step of the two-stroke D-Type Dream's design and manufacture. This was Honda's first motorcycle. This was far from simply slotting a motor into a pushbike frame. Honda called his machine 'The Dream', because his dream of building a complete, motorcycle had come true. Soichiro Honda was an engineer and was always looking to produce better and more sophisticated machines. In September 1957 Honda introduced their first twin-cylinder motorcycle, the sophisticated 250cc OHC four-stroke C70 Dream. 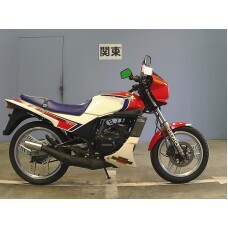 It was the forerunner of Honda's high-performance 125 and 250cc twins. In early 1958 Honda fitted an electric starter to the 250cc Dream and named it the C71 and, in 1959, the latest Benly an incredibly sophisticated 125cc OHC four-stroke twin, capable of 70mph was introduced as the C92. In July 1958 Honda introduced in Japan what became the world's most successful motor cycle, the C100 Super Cub. The Super Cub was developed over three years to be a cheap and practical motorcycle that literally anyone could use. It used a 50cc four-stroke OHV motor and centrifugal clutch with three-speed transmission. It was so easy to operate that even new riders could ride it as easily as a pushbike. Its innovative frame without a crossbar made it popular with the ladies and set a new trend in commuter motorcycling. 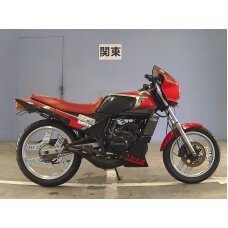 The word "scooterette" was coined to describe this step-through style motorbike which sold in 50, 70 and 90cc versions. In 1959 it was the first Honda motorcycle sold in the U.S., eventually becoming the world's best-selling vehicle (30 million to date). As proof the original concept and design was perfect is the fact that today's C50, C70 and C90s have only detail changes to set them apart from the machines of 25 years ago. That same year, 1959, Honda introduced the 250cc C72 Dream in Amsterdam. This was the first Japanese bike to be officially shown in Europe. It surprised the crowd with its unusual pressed steel frame, swing arm and front leading link forks, sophisticated OHC all aluminum engine, electric starter and indicators. In the UK learners had just been restricted to motorcycles of this size and wanted the fastest bikes they could legally ride. The Honda's were the fastest 250s around, and the C72 with its improvements like 12-volt electric's and wet sump lubrication, successor of the C71, was capable of 80mph and could still get 66 miles per gallon. The CB92 retained the pressed-steel frame and leading link forks while the CB72 received a tubular style frame and telescopic front suspension. The classic CB72 and CB77 helped fuel interest in riding, got America on two wheels, and established Honda as a serious player. 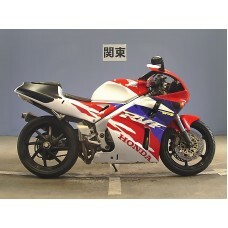 The Hawk name has appeared on Honda models CB72, CB77, CB400T, NT650, VTR1000F ever since, the latest being the 1998 VTR1000F. In 1962 this breakthrough advertising "You meet the nicest people on a Honda" shattered the myth that motorcycles were only for tough guys and rebels. 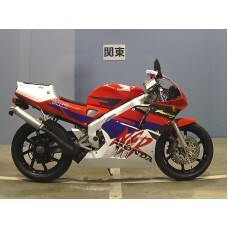 It reached out and made Honda and motorcycling in general, appealing to everyone. The C77 a 305cc version of the Dream and the CB77, a Super Sports motorcycle producing 28.5bhp were introduced in 1963. In 1964 the C95 a 154cc version of the Benly and a 161cc version Of the CB160 was also offered. The Hondells recorded "Little Honda" in 1964. Honda entered the American pop culture as the subject of this hit song. In 1965 Honda, always eager for a new market, jumped into the big leagues with their first big, fast production motorcycle, the innovative 43bhp CB450 twin. This was a double overhead-camshaft machine with torsion bar valve springs that would do a genuine 104mph, a machine to challenge the 500cc-plus bikes. Despite its performance, sales of the CB450 worldwide were Poor. A number of engineering changes were made, in 1967 a five-speed gearbox was added. In 1967 Honda had their first big off-road win in the "first" Baja 1000. In April 1969 Honda set the motorcycle world on fire with the introduction of the CB750. Performance was staggering, easily hitting 120mph and at the time it had better acceleration than anything else on the road. In 1969 the first Honda automobile sold in the U.S., leading Honda to become a preeminent automotive power. Make Model Honda MBX 125 Year 1984 Engine Liquid cooled, to stroke, single cylinder Capacity 125 Bore x Stroke Compress..
Make Model Honda RVF 400R (NC35) Year 1996 Engine Four stroke 90°V-four cylinder, DOHC, 4 valves per cylinder. Capacity 399 Bore x Stroke ..